If you want to read an informed, brief summary of the history of the advancement of civil rights and participatory democracy in Dallas, Texas, you must read the Op-Ed piece published Wednesday, June 25, 2008 by The Dallas Morning News that my dear friend and partner, Rev. Gerald Britt wrote. Click on the title line above to get to the link. Gerald has been making a difference in Dallas for a long, long time, and he is still a young man! "We brought nothing into the world; for that matter we cannot take anything with us when we leave, but if we have food and covering we may rest content. Those who want to be rich fall into temptations and snares and many foolish harmful desires which plunge men into ruin and perdition. The love of money is the root of all evil things, and there are some who in reaching for it have wandered from the faith and spiked themselves on many thorny griefs." A new film about to break on the scene likely will be a "must-see." The documentary made by a group of young Americans began as a quest to understand the changing demographics of the United States. The filmmakers started out with one set of assumptions and, while giving due regard for contrary opinions along the way, ended up in a completely different place. Their shift seems to be because they really got to know the subjects of their study as people. Funny how that choice and commitment usually changes preconceived notions, isn't it? Getting to know people as people--that is the essence of community formation. Check out the trailer. Then, tell me what you think. Wanna see the film? 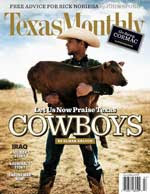 William Broyles, founding editor of Texas Monthly magazine and Vietnam vet, writes a provocative column about the continuing war in Iraq in the July 2008 issue. Everyone should consider his words. In 1992, when she was only 12, Severn Cullis-Suzuki brought world leaders to tears with a speech at the first Earth Summit in Rio de Janeiro in which she chastised them for failing to protect her and her friends from the looming environmental catastrophe. Her words remain more than relevant today. As I listened to her, I thought of the power, importance and nature of authentic community, no matter what the issue. Take a moment and hear her out. Then, let me know your reactions. The line snaked around the front of our building on Haskell Avenue and ran down the sidewalk toward Hill Street. I expect people had been standing in the humid, morning sunshine for over an hour waiting for the Food Pantry to open. People were patient and grateful. Before the day ended, over 300 families discussed their personal lives with our volunteers. Thousands of pounds of food left our community center during the day. I found myself almost unable to leave the crowd in the interview room. People wanted to talk, and I was happy to listen. Good folks--mostly elderly--in need of help with food, the most basic need for life. Limited incomes combined with rising prices, out-of-sight fuel costs and a soaring heat index conspired to make the beginning of summer 2008 particularly difficult. In response to the growing need, we will expand our hours of operation beginning July 1. If you're inclined,we need your help today. "Jeremy, Barbara wants you to know that Joseph is dead," George, our receptionist and hospitality director, said, as he broke into our regular Monday morning meeting. Our conversation ended. Jeremy left to find out the details. Barbara and Joseph have lived on the streets for years. Over the past several months, thanks mainly to Jeremy's leadership (he's our Development Director), we've become involved in attempting to move this couple from the street into housing and employment. Barbara joined our AmeriCorps team several weeks ago, but couldn't maintain the effort needed to fulfill the duties of the position. Now we learn that Joseph was electrocuted while attempting to steal copper wiring. Drug addiction, and all that comes with it, makes for a cruel taskmaster. People fail themselves. People disappoint. People are weak. We keep at it. "Everything is about economics"--the beginning wisdom of a discussion about caring for severely challenged and ill homeless persons. We were trying to web together a collaboration that might bring some continuity, compassion and quality to our overall strategy of caring for vulnerable patients. Always money. It gets tiresome, very tiresome. Days have a way of piling up. I was born and raised in North Dallas Housing (Roseland Homes) with my grandmother Rosie Lambert, my brother Lloyd and oldest sister Lisa. I had a pretty good life. I was the youngest in the family, granny’s pride and joy, so I got what I wanted most of the time. I was raised in church, an “A” student in school and happy at home. Growing up in the projects (as we called it) was not bad for me. My granny had a nice and comfortable home for us. We always ate very well, many gifts for Christmas, new clothes for Easter and a host of friends, but something was missing. When I went to the third grade it was brought to my attention that my granny was not my mother. My mother was not around until I turned 7 or 8 years old. I didn’t have a relationship with her (my mother) growing up and didn’t know my father. My granny was my everything and she gave me all the love I needed so I didn’t question my parents whereabouts. When I got in my early teens the community started to change with drugs and violence becoming more prevalent and accessible. I started to visit my mother periodically and her lifestyle was totally different from what my grandmother had taught me. At the age of eleven my mother introduced me to marijuana. Since she smoked it I figured it was alright. Marijuana made me feel mellow and laid back. I even started to steal it from my mother when I got the chance. I smoked more and more until one day I was introduced to crack. It took me fast and I had to have it daily. My grandmother saw the change in my attitude and behavior but there was nothing she could do. I dropped out of high school and my life started spiraling downward. I found myself stuck in the dope game. I began to spend more time with my mother because this was the type of lifestyle she lived. For fifteen years, I wondered the streets aimless with no direction. I began to participate in activities that were against everything taught to me as a child, activities that were against the law. I made a lot of bad decisions that follow me to this very day. Through everything that was going on in my life I got pregnant and had a son, Jeremiah. I took him to my grandmother to raise, the same way my mother did me and I kept moving. There were a few helpful organizations that came through the community from time to time but they faded fast. Central Dallas Ministries came into the community at my lowest point. I had hit a bottom emotionally, physically and spiritually. There was a lady by the name of Marva that reached out to me. She saw something in me that I didn’t. She made me feel that there was hope and that change in my life was still possible. Central Dallas Ministries Cyber Spot had a program that helped people get jobs and Marva referred me to them. She told me that when I was ready to do something different with my life to let her know and she would help me. I knew deep inside that I could do better but the shame and guilt kept me roaming. My family loved me and my grandmother prayed for me all the time. I was so tried of using drugs but I had lived this way for so long until I didn’t know any way else to live. I had no skills and no education because I dropped out of school in the 9th grade. I was so sick & tired of being sick & tired that I went and signed up for the Job Readiness program through the Cyber Spot. I also signed up for the computer course they had available at the time. I volunteered at the Roseland Food Pantry and started on the road to change. The seed had been planted! I had a few set backs or relapses but I kept striving to be a better person. I was pregnant with my second child and I didn’t want to follow my mother’s footsteps by not raising my own children. I needed to find a stable place to live. I could have stayed with my grandmother but that was the area I used drugs in and I needed a fresh start. I remembered a place I had gone to for refuge before, so I went back to them and they took me in. Due to the information learned in the computer class taken at Central Dallas Ministries Cyber Spot I went and enrolled in community college to get more skills. When I needed help in any area, the services available through Central Dallas Ministries was there. I was able to do my home work in the computer lab and take my sons with me. Food was available for me and my sons through Roseland Food Pantry. I moved from Roseland into an apartment first and now I am a home owner with a 3 bedroom with 2 full baths. I have been clean and sober for 8 years and the mother of 3 sons, ages 10, 8 and 22mo. and we have 2 puppies. Currently working on my Bachelors Degree at UNT, I have continued to do volunteer work with Central Dallas Ministries in Roseland Town Homes. Through my association with Central Dallas and Marva Epperson-Brown I am now working with them through the AmeriCorps Program. AmeriCorps has allowed me to give back to a community that I love so dearly. Now seeing the community from another angle, I have the privilege of knowing and sharing first hand the needs of this community. Marva and Central Dallas Ministries has been one of the inspirations for me working to obtain my degree and reaching for the stars. My major is in Human Service and Non Profit Management. The mission statement & the philosophy of Central Dallas Ministries are truly exhibited through their employee (Marva Epperson-Brown) and through the actions and attitude of the organization as a whole. I am forever grateful to CDM for being a part of my life. Allen, Texas is a far north Dallas suburb, actually located in Collin County, one of the wealthiest counties in the nation. Of course, not everyone in Allen is wealthy. I've mentioned before that demand for services from our food pantry is way up--like about 40% above this time last year. Justice and Mercy. . .
On Monday, June 2, 2008, Dallas Social Venture Partners (DSVP) and Central Dallas Ministries (CDM) hosted a 2- hour Poverty Simulation at CDM’s headquarters. In all, DSVP involved 41 participants in the simulation, each assuming the role of a family member or individual living in a low-income family trying to survive from month-to- month. The object of the simulation was to sensitize participants to the realities faced by low-income people and the choices of the working poor. Sixteen clients and staff of Transition Resource Action Center and CDM served as staff for the resource agencies and services, such as Banker/Loan Collector, Pay Day/Quick Cash Lender, Super Center Clerk, Utility Collector, Police Officer, and Child Care Worker. “It is amazing how the short time frame of the Poverty Simulation allows one to vividly experience not having enough time, money, and other resources to accomplish tasks necessary to provide adequate shelter and food.” - Susan H. Morrissey, CEO & COE, Bell Janitorial Supplies & Services, Inc.
CDM thanks our good and creative partners at DSVP for their support, creative energy and commitment to cutting deeply into the poverty that presses against so many of the people we know and love in inner city Dallas. For more information about DSVP, visit www.dsvp.org. Anyone out there who has been involved in or hosted something like our poverty simulation? Let's hear from you. Thanks to an old friend, I received a link to an extremely interesting essay dealing with the Dietrich Bonhoeffer's thoughts on racism ("The View from Below: Dietrich Bonhoeffer's Reflections and Actions on Racism," by Martin Rumscheidt, Toronto Journal of Theology, Supplement 1, 2008, pp. 63-72). Bonhoeffer, an ordained Lutheran minister and one of the twentieth century's most influential theologians, struggled with the hate and racism of Adolph Hitler and Nazi Germany on the one had and the apathy and complicity of his fellow German church folk on the other. Prior to WWII, for one year (1930-1931) Bonhoeffer came to the United States for post-doctoral studies at Union Theological Seminary in New York City. Thanks to his relationship with Frank Fisher, a fellow student and African American from Alabama, Bonhoeffer spent most of his free time during that special year in Harlem where he attached himself to the youth ministry of the Abyssinian Baptist Church. Upon his return to Germany, Bonhoeffer and his family spoke out against the racism, anti-Semitism and hatred of Hitler and his regime. As a result, he fell under continuing surveillance by Nazi intelligence officials, as well as Hitler himself. After becoming involved in a plot to assassinate Hitler, Bonhoeffer was arrested and consigned to the Flossenburg concentration camp. He was hanged on April 9, 1945. "We have been silent witnesses to evil deeds. We have become cunning and learnt the arts of obfuscation and equivocal speech. Experience has rendered us suspicious of human beings and often we have failed to speak to them a true and open word. Unbearable conflicts have worn us down or even made us cynical. Are we still of any use? Geniuses, cynics, people who feel contempt for others, or cunning tacticians, are not what we will need but simple, uncomplicated and honest human beings. Will our inner strength to resist what has been forced on us have remained strong enough, and our honesty with ourselves blunt enough, to find our way back to simplicity and honesty? "It remains an experience of incomparable value that we have for once learnt to see the great events of world history from below, from the perspective of the outcasts, the suspects, the maltreated, the powerless, the oppressed and reviled, in short from the perspective of the suffering. If only bitterness and envy have during this time not corroded the heart; that we come to see matters great and small, happiness and misfortune, strength and weakness with new eyes; that our sense for greatness, humanness, justice and mercy has grown clearer, freer, more incorruptible; that we learn, indeed, that personal suffering is a more useful key, a more fruitful principle than personal happiness for exploring the meaning of the world in contemplation and action. But this view from below must not lead us into taking sides with the perpetually dissatisfied. From a higher satisfaction that is actually founded on the other side of below and above, we do justice to life in all its dimensions and affirm it." If you'd like a copy of the entire essay, email me at ljames@CentralDallasMinistries.org. Take a moment to watch the video produced by Global Giving entitled "The Girl Effect" at: http://www.girleffect.org/#/video/. When you get to the start, be sure and answer the prompt question by clicking on "Agree." Any idea, institution, tradition or directive that attempts to limit women in any manner is false by definition. This is especially true when it comes to community development anywhere in the world. Support the Housing Trust Fund--TODAY! Please call your senators today, urging them to support the national Housing Trust Fund championed by Senators Christopher Dodd and Jack Reed in the Senate Banking Committee. We understand that the broad government sponsored enterprises / foreclosure prevention bill (there is no bill number yet) passed by the Senate Banking Committee on May 20 could come to the Senate floor as early as today! This bill includes a Housing Trust Fund that would produce and preserve housing for extremely low and very low income households. Please use this toll free number, 1-877-210-5351, for the congressional switchboard and ask to be connected to the housing staffers in your senators' office. You can also click on the blue "Take Action" link below or in the title line of this post to enter your zip code and find the names and numbers of your senators. For background information on the current situation surrounding the bill and for general information on the National Housing Trust Fund Campaign, go to http://capwiz.com/nlihc/utr/1/DPBJIQSAFY/JFMXIQSBBH/2083678531. Here in Dallas, Texas, we have been working with a group of affordable and permanent supportive housing developers to see that our city creates its own local Housing Trust Fund. Mayor Tom Leppert is very supportive of the move and we hope to have a viable plan to report out to voters in the days ahead. The formation of a national Housing Trust Fund will provide a real lift to those of us concerned about the development of fit and affordable housing for all Americans. I hope you'll get involved today! Lowrance Bonner died last Wednesday evening. . .at home. Once a person moves into his or her new home, services and activities are offered freely and enthusiastically. However, participation in these offerings is not a requirement to live in the housing we provide. Our philosophy, our experience and our national research teach us that what homeless people need first and foremost are homes. Lowrance Bonner lived in such a home. Clean, bright, freshly painted and furnished. His one-bedroom apartment was his home. I did not know him personally. I regret that. I mourn his passing. I wish he had not experienced the massive heart attack that took him away from us. As I regret his death, I am grateful that he died at home, in his home, and not on our tough streets. "Housing first" is all about dignity and respect. Mr. Bonner experienced both during the last months of his life. I very glad that he had his home here among us before moving on to an even more permanent, even more supportive home. Thanks to HUD and to millions of American taxpayers for making his home here possible. 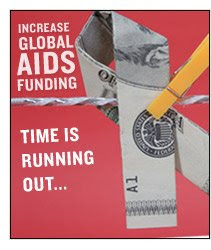 Click on the title line above to find out how you can make a huge difference in bringing hope, health and major breakthroughs to the world AIDS crisis. My Sunday mornings will never be the same again. 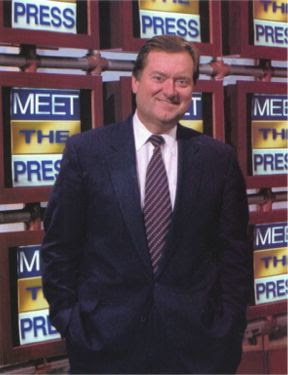 Tim Russert, NBC journalist and host of Meet the Press, died yesterday of an apparent heart attack while at work. It is hard for me to describe what Russert meant to me. I've been heard to remark that Russert served a pastoral role in my life. That may sound strange, but he had the rare ability to digest large hunks of information and interpret what he had learned in a fair and insightful manner. He helped me make sense of the world. I watched his Sunday morning program every time I could. When he appeared on other NBC programming, I turned up the volume instinctively. Russert grew up, as I did, in a blue collar working family. His father, "Big Russ (about whom he wrote his best-selling book) labored for years as a sanitation worker in Buffalo, New York. No doubt, Russert inherited his breakneck work ethic from his dad. Shortly after his death I heard James Carville, one of his best friends, describe Russert's approach to life as that of "childlike excitement." Whether it was the Wizards, the Nationals, the Bills, his son--Luke, his family, his hometown of Buffalo, N.Y., or a visit from the Pope, this hard-nosed journalist engaged life with joy, exuberance and fairness. Renowned theologian Karl Barth is reported to have said on more than one occasion that Christians should approach life with "a Bible in one hand and the morning newspaper in the other." Russert, a devout Catholic, lived that code. He helped me understand things. As I say, Sunday mornings will never be the same for me. Thanks for your help, Mr. Russert. You will be missed. The void will be enormous in the morning. For nearly two decades, Central Dallas Ministries has operated one of the highest volume food pantries in North Texas. In the wake of Hurricanes Katrina and Rita, our Resource Center was named the "food pantry of first referral" by the American Red Cross. Yet even the fury of those storms pales in comparison to what we are seeing on the ground today: our Community Resource Center has witnessed a 37% increase in the number of unduplicated families and a 44% spike in the number of unduplicated individuals who are coming to us for assistance compared to this same time last year. We are now seeing more families -- and larger families -- than ever before in the history of our work as the largest food pantry in Dallas... and we are seeing them more often. Compared to the same period last year, we have distributed a lot more food products--up from 167,049 pounds in 2007 to 241,955 through the end of May this year, an amazing increase of 45% more food sent home with working families, disabled men and women, little children and our homeless brothers and sisters. Agapito Perez and his staff are doing an amazing job in our Resource Center, thanks in great part to our team over 300 community volunteers, a group that still relies on us for food. We need to raise more money to keep pace with the rising demand among our neighbors whose spending power continues to shrink due to increased costs for fuel, utilities, food stuffs and housing. Finally, we must get more food down in our pipeline because currently we provide only 11 pounds of food per person (about 3 days supply according to USDA). a. Send a monthly donation via credit card or automatic bank transfers in support of our emergency food relief efforts. Every dollar that you donate helps us to provide six meals to hungry families. Here's an approach that makes sense to me. Why not decide to make a monthly gift equal to a predetermined % of your own monthly grocery bill? Sit down and figure out what you can do. Monthly gifts of 5-10% of you grocery costs would make a huge difference. b. Spread the word in your communities of interest about this growing need in inner city Dallas--work, neighborhood, church, scout troop, social/civic club, etc. Start right now by forwarding this post to as many friends as you can. See if you can get us an invitation to speak to your group with the understanding upfront and in advance that we need funding! Don't ask us to speak unless you understand that we need to "pass the hat." c. Make a one-time, sacrificial gift to Central Dallas Ministries earmarked for our Food Pantry Resource Center. d. Check out our video about the food pantry and see for yourself what life is like for the urban poor. Every $1 secures 6 meals for hungry families. A $25 monthly donation will provide enough food to feed a family of four for nearly half a year. A $100 one-time gift will purchase more than $1,000 worth of food. To set up a monthly gift by credit card or automatic bank draft, click here. To make a one-time gift online, click here. Or, if you prefer, make your checks payable to Central Dallas Ministries and mail to the attention of "Resource Center," Central Dallas Ministries, P. O. Box 710385, Dallas, Texas 75371-0385. Thank you for considering urgent appeal. Together, we can help end hunger in the homes of our neighbors. Dorothy Day, one of the founders of the Catholic Worker movement, kept personal diaries throughout her life. She left explicit instructions that her journals not be published or shared with the public until 25 years after her death. Day died in 1980. And now Marquette University Press has published her diaries. Edited by Robert Ellsberg, one of Day's followers from late in her life, the collection of personal reflections is titled The Duty of Delight: The Diaries of Dorothy Day. Fascinating reading that provides an unique look into the life and soul of Dorothy Day, activist and pilgrim. If Dorothy Day is one day formally canonized, this diary will offer something quite unusual in the annals of the saints--an opportunity to follow, almost day by day, in the footsteps of a holy person. Through these writings we can trace the movements of her spirit and her quest for God. We can see her praying for wisdom and courage in meeting the challenges of her day. But we also join her as she watches television, devours mystery novels, goes to the movies, plays with her grandchildren, and listens to the opera. Many people tend to think of saints as otherworldly heroes, close to God but not exactly human. These diaries confirm Thomas Merton's observation that sanctity is a matter of being more fully human: "This implies a greater capacity for concern, for suffering, for understanding, for sympathy, and also for humor, for joy, for appreciation for the good and beautiful things of life." To be human is constantly to fall short of the ideals one sets for oneself. 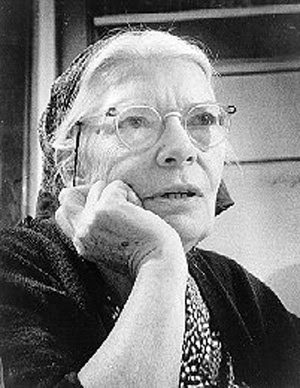 Dorothy Day was no exception. There are frequent reminders in these pages of her capacity for impatience, anger, judgment, and self-righteousness. We are reminded of these things because she herself points them out. ("Thinking gloomily of the sins and shortcomings of others," she writes, "it suddenly came to me to remember my own offenses, just as heinous as those of others. If I concern myself with my own sins and lament them, if I remember my own failures and lapses, I will not be resentful of others. This was most cheering and lifted the load of gloom from my mind. It makes one unhappy to judge people and happy to love them.") And so we are reminded too that holiness is not a state of perfection, but a faithful striving that lasts a lifetime. It is expressed primarily in small ways, day after day, through the practice of forgiveness, patience, self-sacrifice, and compassion. This will be a good and inspiring read, I can tell already. Did you catch the duo performance featuring Kenny Chesney and George Strait during the recent CMA Awards show? Chesney's new song, "Shiftwork" speaks to the soul of working people in every part of this country. Sadly, just because a person works hard every day, a job does not come with a guarantee that earnings keep pace with the rising cost of living. We see this reality on a daily basis here in inner city Dallas. I suppose my experience here is why I find the music moving. Everyone who works hard should be able to earn enough to sustain at the very least a modest, workable life. The song calls us to pay attention to labor. It is a good call. Last week I attended a meeting during which the idea of education-choice vouchers came up. The person who spoke up in favor of this approach began by asking this simple question: "Do you believe in competition?" His point was clear. If parents and students have a choice as to where they can attend school and if they can use public money to make those choices, including paying tuition for private education, schools will be forced to compete for the funding and just naturally become better at what they do or go out of business. Free market forces to the rescue again. What is always missing in these discussions are the facts facing large urban school districts today. Vouchers simply will not solve the problems facing our public schools. In fact, funding private schools with public funds will only weaken our already struggling public systems where the vast majority of our children attend classes. A few years ago, a young man dropped by my office to discuss his plans to run for a seat on our school board. He has since become a good friend. He started the conversation that day by asking me, "Larry, in your opinion, what is the number one problem facing the DISD today?" I didn't have to think for even a second to reply with my one-word answer, "Poverty." "The Dallas ISD is the 12th largest school district in the nation with a diverse population of more than 160,000 students. Almost 70 different languages are spoken in the homes of our students. Serving these students are more than 19,000 employees, making the Dallas ISD one of the largest employers in the city." What the website doesn't report is this astounding fact: 90% of the students in DISD schools come from households that live at or below the poverty level. Think about that statistic for a moment. Over 144,000 students living in poverty in the school district serving one of the wealthiest cities in the world! It is my opinion that the DISD is doing good work. Even more importantly, I believe the district improves year-by-year. One reason this is true is that our superintendent, Dr. Michael Hinojosa, understands the reality of poverty and its pervasive affect on our schools. Until the rest of us come to understand this reality and its impact on students and families, we will continue to struggle as a community when it comes to educating our children, all of our children. "Moral courage is a rarer commodity than bravery in battle or great intelligence. Yet it is the one essential, vital quality of those who seek to change a world which yields most painfully to change." in a speech in Capetown, South Africa, June 6, 1966. 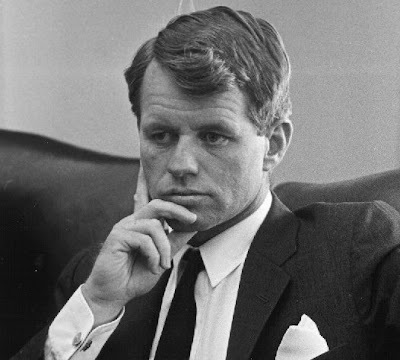 Senator Kennedy died 40 years ago last week. Lots of people know exactly who won! My son-in-law reports that he's even observed parents with official scorebooks keeping score! Hard to believe, huh? But, I mean, really. The point is not who wins. The point is the little people playing their hearts out together, all the while not really understanding much, especially as they get started at it. It's about running, yelling, being together, having fun and getting snacks at the end of the deal! Community, pure and simple, including grandparents. I gotta tell you, I love it! Take my grandson here, Wyatt. In my book, he is something to behold! Even has Mickey Mantle's number on his shirt! Who cares who wins? Doesn't get any better than this, I can assure you! From Greek to Justice. . . I'm not sure exactly when we first met, but I have always been impressed by the intelligence and scholarly acumen of Dr. Carroll Osburn. The man knows as much about the Greek New Testament, its era and beyond into the 2nd and 3rd centuries, as anyone alive. For thirty years he taught Greek to students involved in seminary and graduate education. He has lectured around the world. Almost 5 years ago now, Carroll took a huge turn in his life. He left the classroom at Abilene Christian University and its College of Biblical Studies to begin working with the Caris Foundation. Involved in many scholarly projects, Carroll volunteered for three decades as a Greek translation consultant to Bible translators working among pre-literate people in Guatemala, the headwaters of the Amazon, and on Native American reservations. While his new assignment leaves room for teaching (he is spending the summer at St. Andrews University), he works most of the year on relief and justice projects in Africa. What is really interesting is how his careful reading of the New Testament has led him into work among the poorest of the poor in Third World nations. Recently, I read one of his scholarly papers published in Ex Auditu, the annual journal of North Park Symposium on Theological Interpretation of Scripture, titled "James, Sirach, and the Poor" (Vol. 22, 2006, pp. 113-132). The essay begins in a highly technical manner, but closes with surprising reflections about faith and the pursuit of justice. I intend to post some of the essay over the next several days to stimulate our thinking. ". . .the reading of James must move beyond those matters obviously intended for early readers. Here one transitions to. . .understanding the text to create a textual world into which readers may enter, along with all they know and experience in their own contemporary context. ". . .Clearly, James is convinced that genuine religion requires social concern and that one's social involvement in the present is just as vital as one's personal religious beliefs and practices. . . .The matter of justice for the poor, once a lively classroom topic, has now taken on new and vital meaning. This opportunity to reinvent myself professionally also became the opportunity for self-redefinition personally, very much along the lines James presents. . . .
"Over the past three years significant involvement in African villages and slums introduced me to societal systems and structural injustice to the poor and became a stimulus as well to reassess Christianity in this light. Matters now occupy my attention which formerly were left to others. Corrupt governments, tribal conflicts, unequal distribution of wealth, suppression of intellectual and political freedom, and militarism are but a few of the many societal systems reflecting injustice with which I work daily in Africa. Structural injustice takes other forms. Perhaps one in four people in the world lack sufficient resources (land, funds, and education) to participate in the global economy, resulting in a growing inequality between rich and poor and unhealthy materialism and consumerism. Industrialized nations impose trade barriers on goods from lesser developed countries that help create poverty. Huge loans to developing countries have resulted in a severe debt crisis. Health care and education are often curtailed in order to repay such debts. . . . Such matters cannot but affect self-redefinition, and they certainly bring new questions to one's textual world." Reactions? More from Carroll Osburn in coming posts. Oh, yeah, you gotta check this out! Dallas City Council Member Dwaine Caraway advocates for and acts in the best interests of the young people of his district. Watching this man work, on the ground in the community, is inspiring. Recently, his community liaison, Michael Davis contacted us to invite Dr. Janet Morrison to organize a group of our people from Central Dallas Ministries to join several other bus loads of youth for a tour of the Houston/Galveston area, complete with a stop at NASA. Of course, always looking to provide our youth high-energy learning experiences, Janet took Michael up on his offer. Great stuff, don't you think? So, what can a homeless man, a dog, a cat and a rat teach us? Possibly a visual lesson in community. What might happen if we all learned to live together like this? Wonder what might happen if every predominately white church in the nation made some special effort to celebrate Juneteenth this year? What if just Texas congregations did so? Just an idea and suggestion for white people of faith to consider. 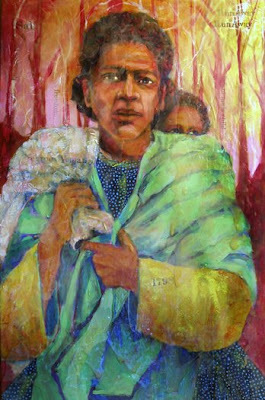 Here is a wonderful resource page for such plans: http://coramarshall.com/news_juneteenth08.html. If anyone takes me up on this idea, please let me know! Wednesday, thanks to a bit of a glitch in the agenda, I sat in the Dallas City Council meeting for almost seven hours. Quite an experience to take in almost all of the entire meeting! My hat is off to our mayor and our council members for their willingness to do so for the common good. During the afternoon session, the meeting room filled with very well-dressed people, well over 100 of them. When their time on the agenda came, it became very clear that the group was divided between those who favored the development of a luxury hotel/condo project down along the Katy Trail and those who were against it. The testimony was interesting. The project fairly amazing. The conversation among council members very civil. The project was approved unanimously over the judgment of the City Planning Commission. When our business was completed (the council voted to award our citywalk project $1.5 million in bond funds for homeless housing), I decided to drop in on The Bridge, our new homeless assistance center Downtown. I walked in and began roaming around asking folks how they liked the new facility. Lots of honest conversation ensued. There are some bugs in the new building and the staff is working hard to resolve them. One fellow told me he believed the whole project was to provide a place for the homeless to be hidden from the rest of Dallas. Almost everyone I spoke with was grateful for the place. The overriding impression I received was that of an extremely welcoming place. The numbers seem to back up my impression. The Bridge is seeing about 1,000 people a day! I expect that is about 50% more than anyone planned for. But, that brings me back to that welcoming thing. The place could just as easily have been named "The Oasis," because that is what it feels like to lots of people who are coming there. Just a place to sit down, to rest, to regain one's legs, to feel as if someone really cares. . .unconditionally. Clearly, The Bridge is not a place of condemnation, but a place of hope and friendship. Not surprisingly, I ran into a number of men that I knew, guys who had passed through my world at CDM. Felt like a reunion! As I drove away, I couldn't help contrast the two worlds I'd experienced in just a few hours. Two very, very different worlds. Two worlds that are drifting apart quickly, as the economic gap between the two widens daily. The gap is sad to me. The people aren't all that different, though they may all think they are. But, they aren't. Discovering beauty in both worlds is the challenge. Putting an end to the divide, slowing the division, the call. And then, there is the small matter of justice, human dignity and simply loving "Lazarus." Remembering the fallen. . .
Four thousand five hundred and seventy (4,570) members of the U. S. Armed Forces have given their lives during the wars in Iraq and Afghanistan. Something very serious to think and pray over on this beautiful Sunday in America. The Washington Post provides a tool for this important meditation at: http://projects.washingtonpost.com/fallen/. The loss of life, the cost of the conflict and the future of our national life--all are extremely important concerns for urban communities.